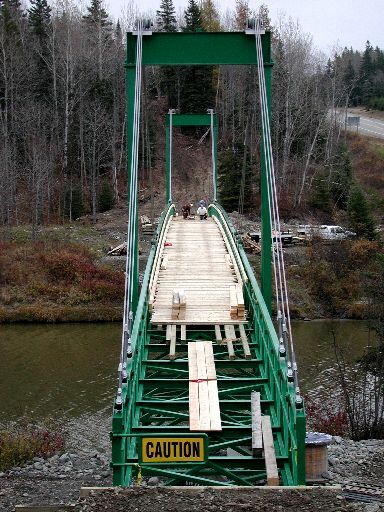 Work progresses on the bridge. About a week ago the ramps to the bridge were complete. 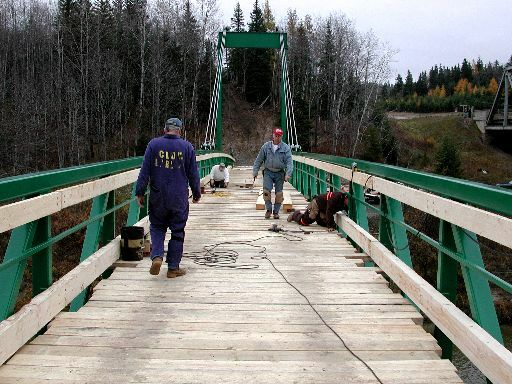 Now the task of laying and nailing the planking on the bridge can be completed. 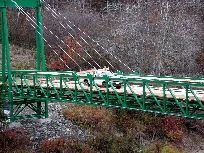 A small pick up truck is used to haul the planking on to the bridge. 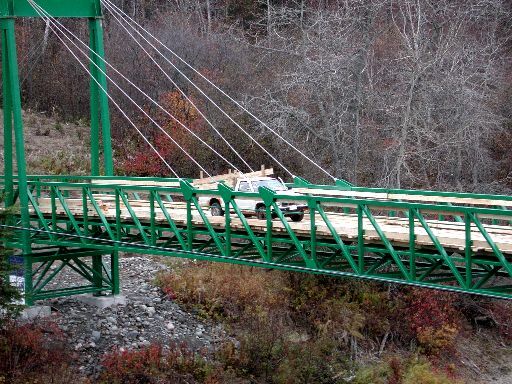 Sure beats hauling the planks by hand! Some of the people doing the wood work on the bridge. 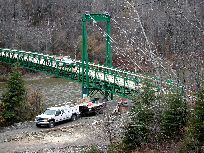 A view of the bridge from the west side of the river. 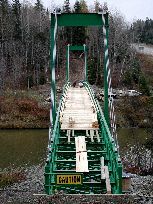 Not quite enough stringers were ordered, so the planking doesn't yet reach the west end of the bridge. There are a lot of planks left to nail!